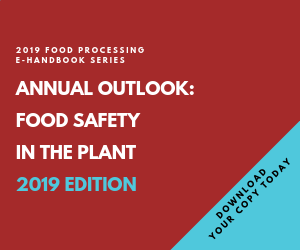 According to a report on Bloomberg, President Barack Obama on Jan. 4 signed into law the Food Safety Modernization Act, passed by Congress in the final days of 2010 after sitting for a year. With its overhaul and expansion of the FDA, it will be the biggest change to oversight of the food industry since 1938. The question – especially with fiscally conservative Republicans talking over the House – is who will pay the $1.4 billion in costs estimated over five years. “There’s a high possibility of trimming this whole package back,” Rep. Jack Kingston, who is in line to become chairman of the panel that oversees the FDA, told Bloomberg News. For Bloomberg’s story, click here.